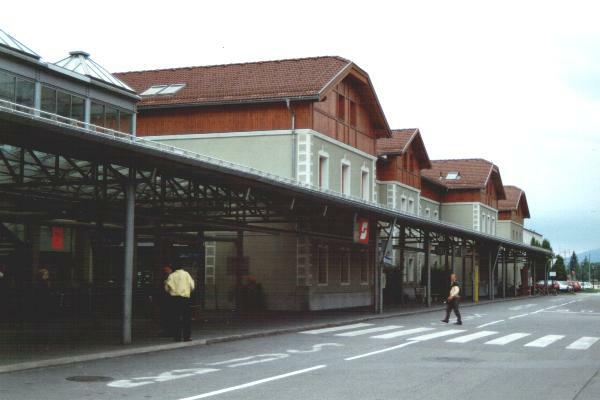 ÖBB railway station Bludenz, 03-08-1998. 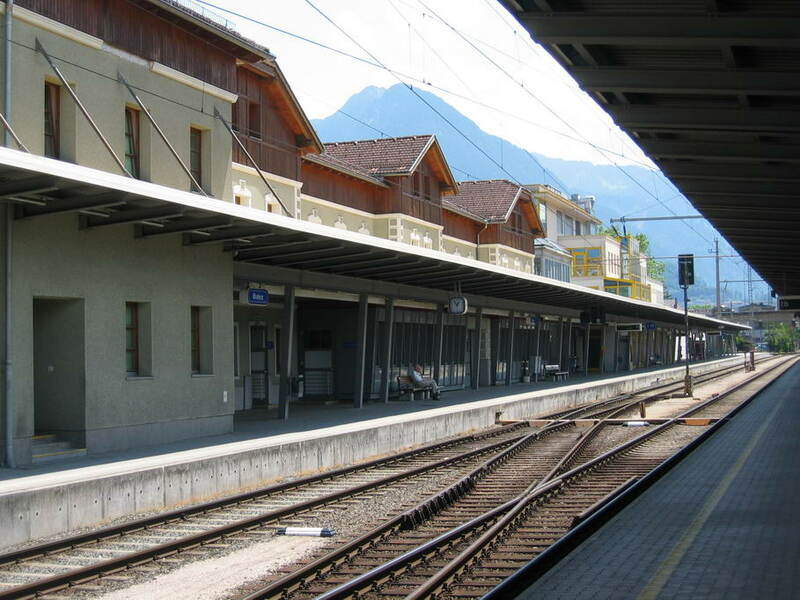 Trackside view of Bludenz station building located on the junction between the Arlberg railway and the Vorarlberg railway. 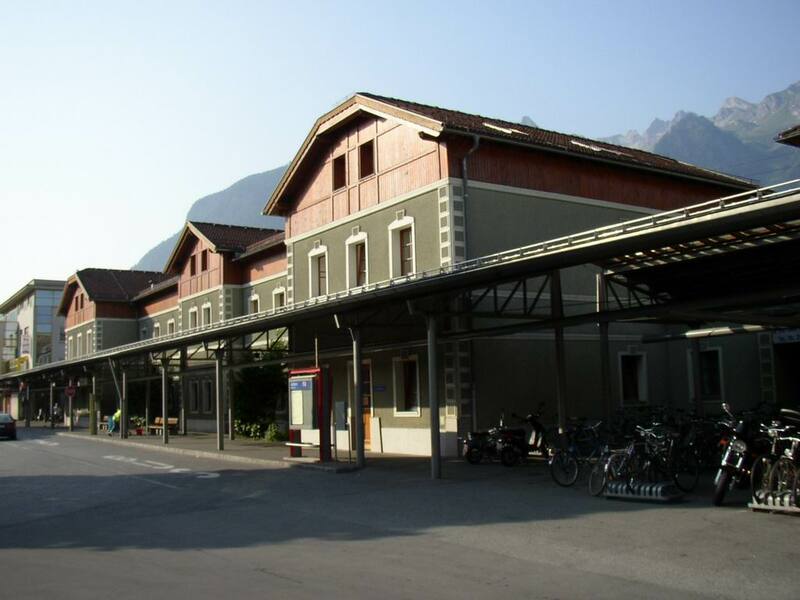 The station is also a terminus of the Bludenz–Schruns railway. 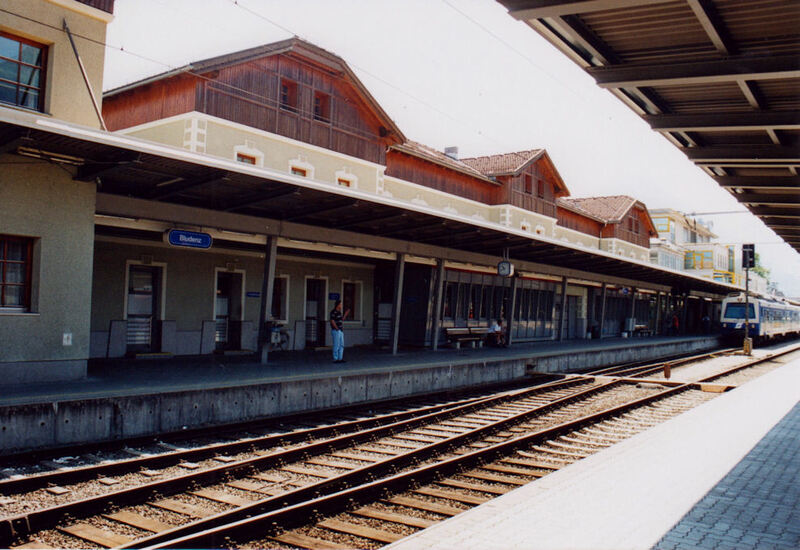 It is owned and operated by the Austrian Federal Railways (ÖBB). 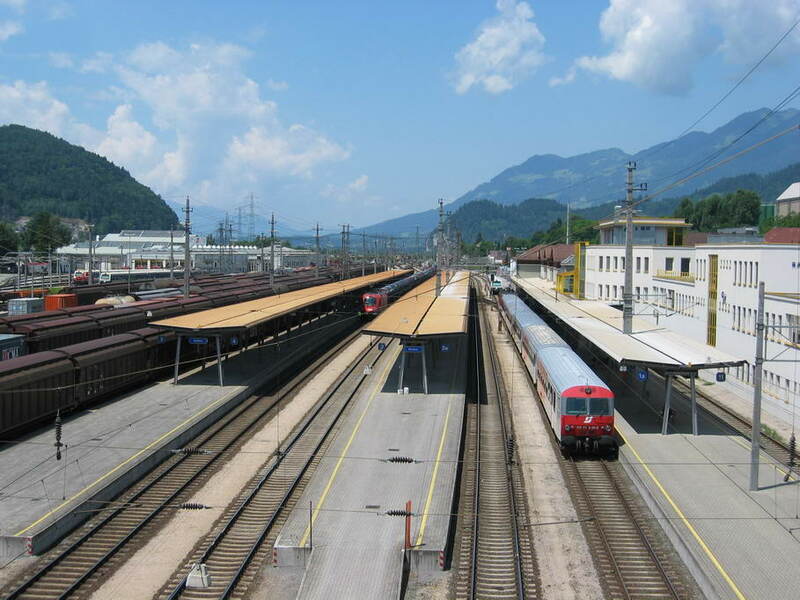 On the right there is a class 4020 EMU. Photo taken Saturday 21 June 2003.